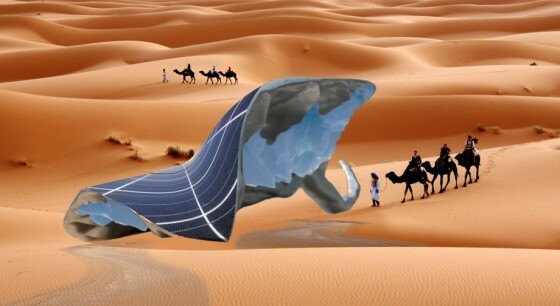 The solar power will turn moist of deserts in to ice and incredibly add a positive change in climate. The problem of climate change is witnessed on a drastic level in all over the world and few people are trying to cope with the change and make this world sustain these changes. Artist Ap Verheggen intends to drive home with the incredible SunGlacier project. 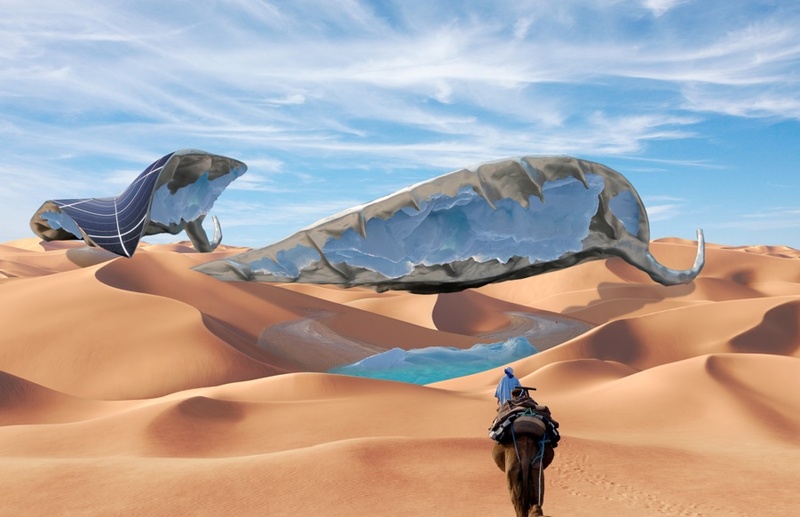 Based in the Netherlands, Verheggen is developing a giant sun-powered artificial leaf that uses condensation to create ice out of humidity in the Saharan desert. SunGlacier is part of a chain of projects that over time will stand for a new way of thinking about climate change. The SunGlacier project team focus attention on the current state of the art in relevant technology and its ability to offer solutions to the challenges of climate change. The process of climate change is so rapid that we need to do something as soon as possible for saving this earth. It’s changing quicker in our time and so the same response is required to deal with it. The leaf technology will grab the moisture from the air and turn into ice; those leaves will be made planted in deserts and use solar energy technique. It is also said that the Saharan atmosphere lack moist, so the engineers have heated the shipping container to 30 degrees Celsius and installed a humidifier that creates moisture. A fan, which simulates the fierce desert winds, is pointed at the ice. As the ice grows from the condensation, water collects at the base – an encouraging sign for water scarce countries in the Middle East. According to a new website who reported about this unique project, hotter conditions are favorable to the experiment, since theoretically, more heat means more condensation, which means more ice and water. This is surely a revolutionary project and if the SunGlaciers get some success, this will lead to a better climate.